This evening, for the very first time in history, the Eiffel Tower will be illuminated in pink lights. The reason? The city of Paris wants to show its support of Breast Cancer Awareness Month. Likewise, when I venture out to take photos of the rosy-hued monument, I'll be toting my new Tommy Hilfiger handbag with pride. For the past eight years, Tommy Hilfiger has designed a limited-edition handbag to build awareness, raise funds and make a positive impact on the lives of women around the world who are affected by breast cancer. The bag retails for €299, with €100 of each sale going directly to Breast Health International's (BHI) Fund for Living, an initiative established to cover costs associated with a breast cancer diagnosis but not covered by insurance, like travel costs and child care. 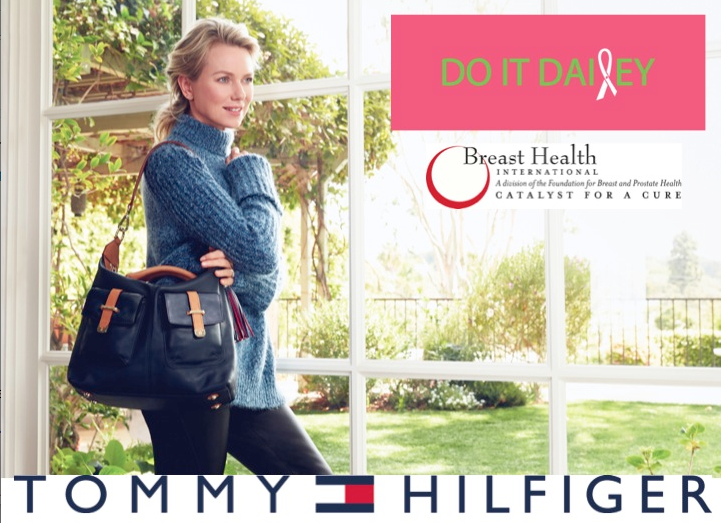 The bag, which is available in Tommy Hilfiger stores during the month of October, is also intended to bring awareness to breast health and breast check-ups. In collaboration with Tommy Hilfiger, the Dailey Method Paris is offering free "Dailey Donate" classes at their lovely exercise studio in the 16th arrondissement. The classes, which effectively strengthen, tone and lengthen the entire body, are a great way to stay in shape and support women in France who have breast cancer. 100% of the donations go to Breast Health International. After participating in an invigorating Dailey Method class with Susan Schwartz, Director of International Development & Communications of Breast Health International, on Sunday evening, I had the opportunity to learn more about BHI's Fund for Living. As Susan explained, "It can be exhausting for a patient to take two buses and a subway home after treatment or difficult to arrange care for a sick child – especially while the patient herself is going through chemotherapy. 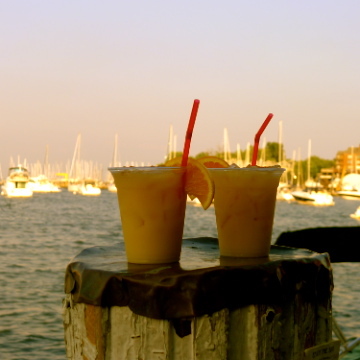 Costs of taxis, babysitters, etc., are not usually covered by health insurance, but access to these resources can make the difference between missing appointments and being treated appropriately." Susan Schwartz of Breast Health International and Naomi Watts with Tommy Hilfiger's Limited Edition handbag.